Learn about SEO in less than 60 seconds. SEO Services are essential in maintaining a strong organic presence in Google. Ongoing SEO services may be necessary to compete in your market and maintain visibility. Search Engine Optimization (SEO) is the process of measuring and tuning a website to improve its natural (or “organic”) search engine ranking. Google ranks new websites according to an intricate set of rules – its “search engine algorithm”. Google’s algorithm is a well-kept secret, so the trickiest part of SEO is discovering what makes your site rank #1! That’s where our SEO team comes in. Through Google research, content analysis, and exhaustive experiments, our specialists have learned the best techniques to improve your site’s organic Google placement and rank. What will Autoshop Solutions and Search Engine Optimization Mean for Me? You might have a beautiful, user-friendly website. However, if potential customers can’t find it when they search for auto repair services, your top-notch website can’t deliver its full potential! That’s where our SEO services can help! Want people searching for auto repair to find you first? This client signed up for o​ur SEO program and has improved by 471 positions. Google knows if your website is mobile friendly! Typically responsive sites have better metrics and better rankings! Make sure your website is mobile responsive, all of our websites are. We have the industry’s best people and we partner with our customers to develop solutions for their business. Why is Search Engine Optimization Important for My Shop? Think of your own search habits: when you use Google, you rarely look beyond page one. Your shop must be on the first page of Google search results! First-page ranking increases your website visibility, visitors to your site, calls, contacts and cars in the bays. SEO is critical for any auto repair shops internet marketing campaign, especially in populated areas where competition is intense. Most automotive repair shop SEO evolves with your competition, since their marketing (or lack of it) can help or harm your rankings. Automotive SEO is an ongoing process and not just a “one-and-done” type of service. Also, Google updates it’s algorithms several times a year, which can have a huge effect on your website ranks. Your SEO strategy must evolve with Google’s rule changes, to keep your site ranked as highly as possible. Autoshop Solutions delivers the right SEO strategy for your automotive business. 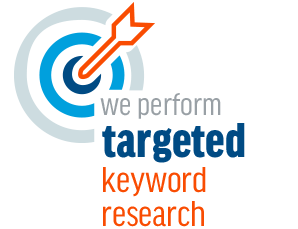 Target Keywords to Your Shop. Automotive keywords vary significantly by region. 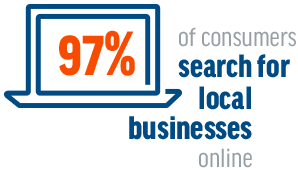 We find the best keyword phrases for your shop and your local market. Speak Your Customers’ Language. 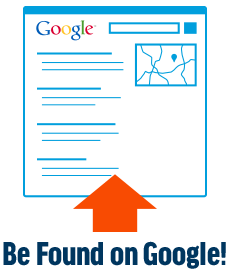 Our expertise in automotive SEO means we know how your customers search Google for auto repair shops. Write Content in-House. 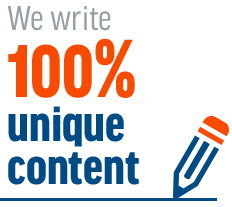 Our professional copywriters edit and optimize all of your website content and blog posts – IN-HOUSE. No duplicate content here! Monitor Your Website’s Rankings. Google’s search algorithm changes constantly, and your competitors evolve with Google. We continuously monitor your Google rankings and adapt your auto repair SEO strategy to keep you ahead of the competition. Care About Your Results. We truly want to bring your shop success! Search engine optimization is not about generating website hits, but how many quality leads it generates – so that’s what we deliver! 100% Unique Content. Google prefers unique content, or it penalizes your site with reduced rankings. Our passionate in-house copywriters write for your business, your story and your automotive specialties. “White Hat SEO” Techniques. All of our websites follow Google’s standards and best-practices. Companies who practice “Black Hat SEO” may temporarily improve a site’s ranking, but the website eventually risks being penalized or banned from Google! No Empty Promises. Don’t trust anyone who guarantees a #1 ranking! From Google’s support page: “No one can guarantee a #1 ranking on Google. Beware of SEOs that claim to guarantee rankings.” Some companies use “Black Hat SEO” for a temporary boost, then try to lock you into a contract before your ranking slips back down (often permanently). No Long-Term Contracts. As with any of our services, you are not required to sign a long-term contract. That motivates us to work harder for your business! 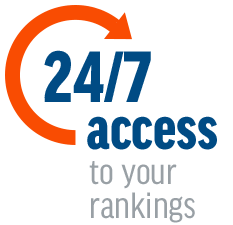 24/7 Access to Rankings. Don’t wait weeks or months to see your ranking results. Log into our Autoshop Lab any time, from work, home or on the go to review your live rankings. Cutting-Edge SEO Practices. We practice today’s SEO, not yesterday’s SEO. We respond at lightning speed to Google’s constantly changing algorithms, ensuring your website remains a model of Google’s standards for highly-ranked sites.